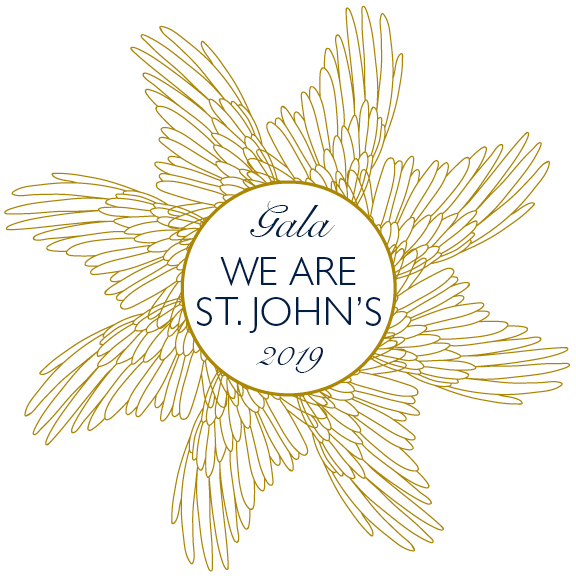 Thank you to all who supported 2019 Gala, the largest annual event fundraiser at St. John's! Gala Details: Saturday, April 6 at 6 pm in the Leo and Joan Mahoney Wellness Center at St. John's Prep with Après party entertainment by Soul City. The Hines Family—A model of public service forged through faith and personal experience, the Hines family tirelessly supports soldiers and their families, including with a fund they established to assist those who have sustained life-altering injuries in the line of duty. We are proud to honor retired State Police Lt. Steve Hines; his wife, Sue; and their children: Michael '02, Trevor, Ashley, and the late Army 1st Lt. Derek S. Hines ’99. Judie and Joe Levis ’60 P’85 ’92 ’94—Judie and Joe Levis share a sense of humility that belies their enduring impact at St. John’s. As parents, volunteers, leaders, and benefactors, they have quietly helped shape the Prep campus and create opportunities for students today and in the future. It is a privilege to shine a light on all they have done for the Prep community. Liz Dobrowolski—A deft mathematician with a uniquely accessible style, Liz Dobrowolski inspires students at a pivotal time in their lives. By creating community in her classroom and through her co-curricular involvement, including with Camp Sunshine, Liz lets young people know that she believes them. And her students, in turn, come to learn everything they’re capable of becoming. We’re grateful to Liz for carrying on the legacy of excellence in teaching at St. John’s. The Catholic Schools Foundation—Since its earliest roots in 1983, the Catholic Schools Foundation has provided aid for low-income students to attend Catholic elementary and secondary schools in the Archdiocese of Boston. Today the organization works with 84 schools, including St. John’s, to provide $8 million for some 4,000 students. We celebrate our partnership with the Catholic Schools Foundation and what we have achieved together.